Did you know you can see two ruined castles from the RSPB Lochwinnoch reserve? Those familiar with the landscape surrounding Lochwinnoch will know the ruined Barr Castle, that sits in a field to the west of the village, but there’s another less known castle, and it’s hidden away from sight on the reserve. The Peel Tower, as it’s known, is a fortified tower house, built as a defensive structure by the local Semple family to protect their land and property from raiders in the 16th century. Located in a relatively inaccessible part of the reserve, it’s a little-known scheduled monument – and has been designated as having national importance by Historic Environment Scotland. 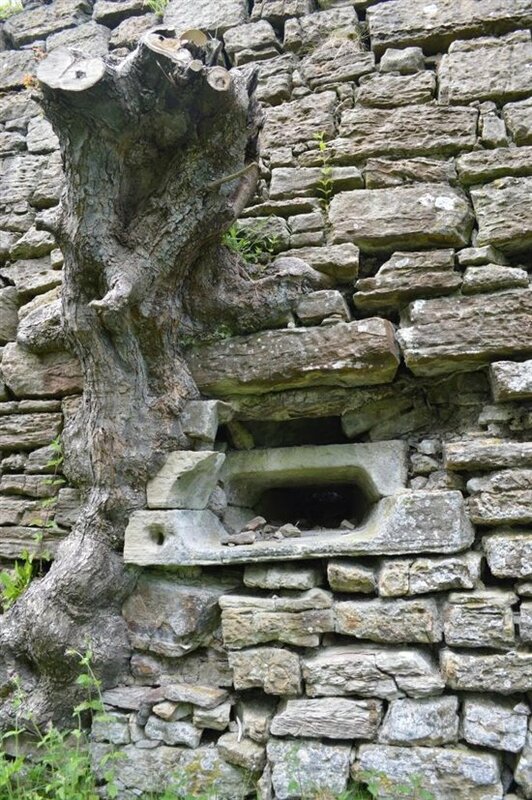 The fact that it’s largely defensive, rather than built for living in, makes it a relatively rare structure in Scotland. 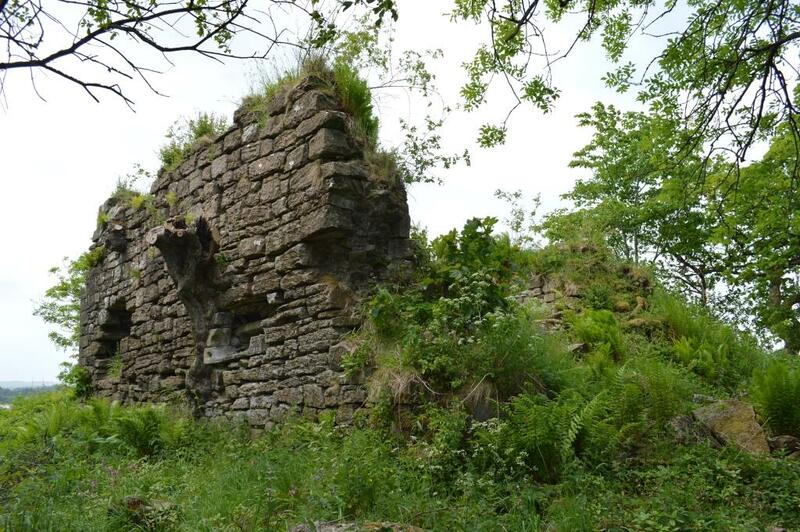 Now, as part of the Garnock Connections programme, work will soon get underway to consolidate the ruin and carry out remedial work, making make it safe for members of the public to visit this previously hidden gem. Paths will be opened up and interpretation boards will be installed to provide information on the history of the tower and its significance for the local area. Garnock Connections aim to involve the local community in the work, as part of their remit to upskill the local population and provide a legacy of training and education. Early training ideas include archaeological research and exhibition organisation, and the team would be happy to hear from anyone who would like to get involved in the project. Built during a time when feuding families would raid each other’s land, advances in artillery meant Peel Tower was only in operation for a short time, being overrun by firepower in one attack and subsequently falling into ruin. 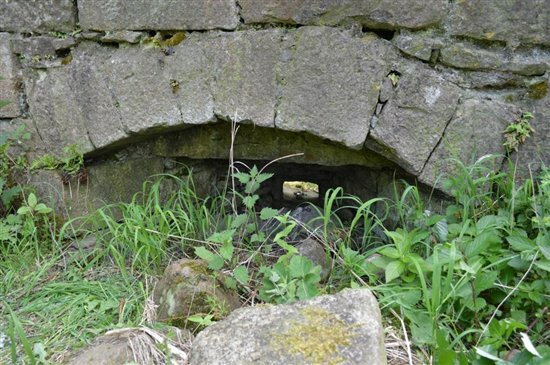 Musket-firing holes (rather than arrow slits) provide a clue to its age – similar features can be seen at the more intact Craignethan Castle in South Lanarkshire. 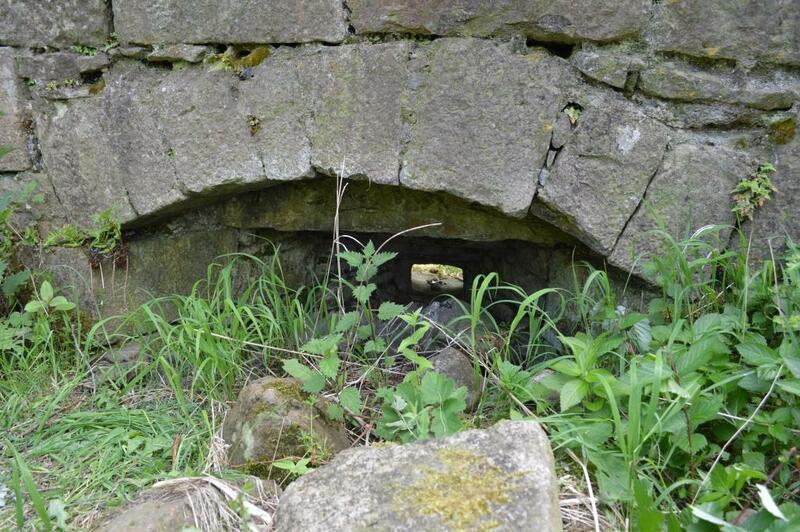 External and internal views of the musket slits provide clues as to the Peel Tower’s age and use (pics: Joe Crossland). Despite its significance, the ruined tower is not generally well known, and in the summer of 2016 the site provided a great opportunity for our Young Volunteers group to get a close-up look at a fascinating piece of history on a work day spent clearing invasive Himalayan balsam from the surrounding area. 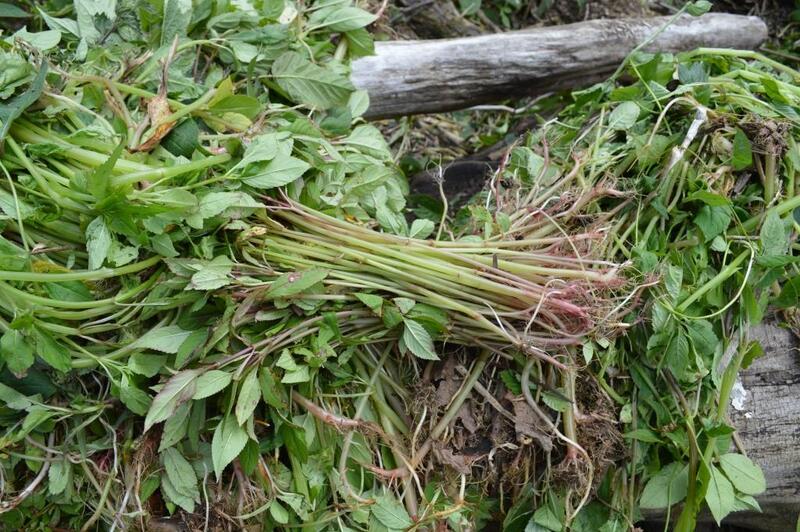 Himalayan balsam can be identified by the red edging to its serrated leaves, and the translucent stem which is red/pink at the base and greener further up. Once in flower, the shape of its pink blooms give the plant its other common names of policeman’s helmet and gnome’s hatstand (pic: Joe Crossland). It will be fantastic to open up this area to the public as it will not only provide a close-up view of the tower, but also unique views of the reserve and the wildlife that frequents the area. 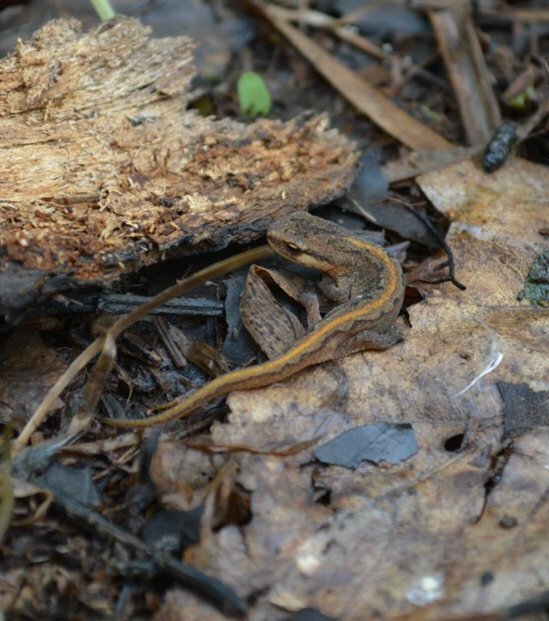 Our Young Volunteers, for instance, discovered a large number of newts sheltering together in a cool spot under a log. These beautiful creatures were palmate newts, one of three native species found in the UK (the others being smooth and great crested). After inspecting this excellent find, the volunteers carefully covered the newts over again and set up an exclusion zone to ensure the newts remained undisturbed while they worked close by. 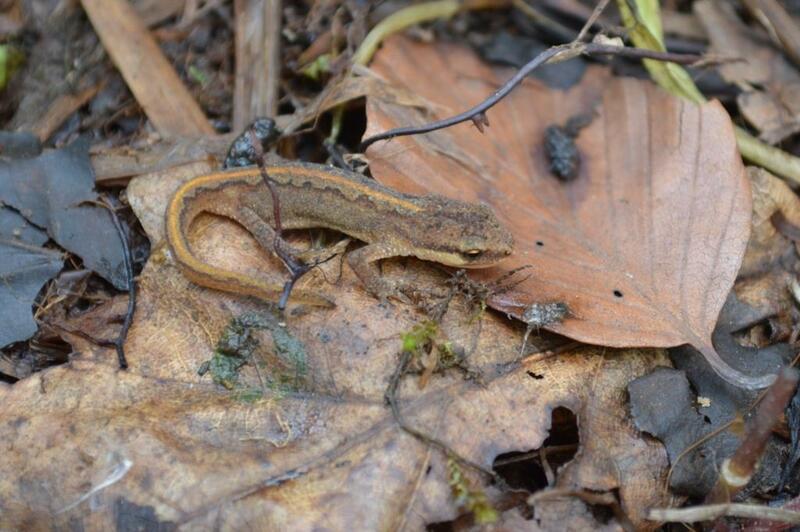 Palmate newts discovered close to the Peel Tower (pics: Joe Crossland). The site remains closed to the public, but we will provide updates on progress and look forward to opening up the site in due course to reveal the secrets of this long-hidden chapter in Lochwinnoch’s history. Garnock Connections is a Landscape Partnership Scheme led by RSPB in partnership with North Ayrshire Council, Scottish Environment Protection Agency (SEPA), Scottish Natural Heritage (SNH), the Scottish Wildlife Trust, and advised by Historic Environment Scotland (HES). Garnock Connections is supported by a grant from the Heritage Lottery Fund. To keep up to date with all the latest news and events, check out the Garnock Connections Facebook page.